What is the Healthy Living Project? After an HIV-positive diagnosis, looking forward can be a nearly impossible task. The Healthy Living Project at LGBT Life Center can help with understanding what a diagnosis means today. Even if you have been living with HIV for many years, stress still happens and learning to handle stress can be challenging. 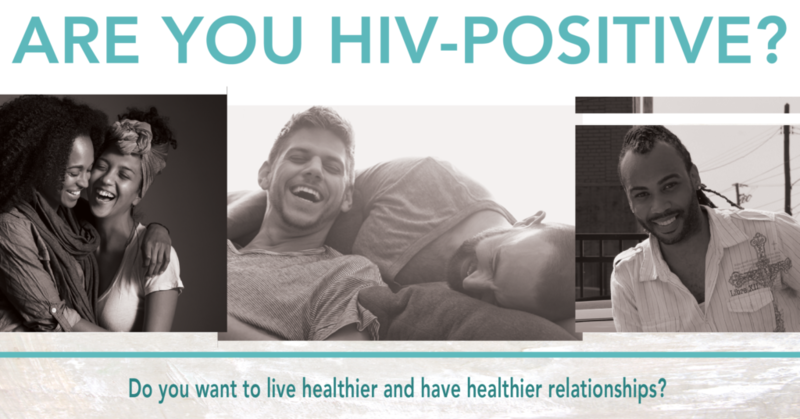 The Healthy Living Project is a peer-to-peer support program where HIV-positive individuals (LGBT, straight, anyone) connect with an HIV-positive peer to talk about reducing stress, setting achievable goals, and learning better ways to communicate. It’s a non-judgmental opportunity to ask questions from someone who’s been there and gets it. By working with a peer who is taking steps to stay healthy, you can learn from their experience. An added benefit, and as a thank you for the time you commit, gift cards are provided to those who complete the program. The amount is based on the number of sessions completed, which can range from 8 sessions to 15 sessions, depending on how you’re doing. We’re ready to talk! Give us a call at 757-640-0929 or email us at info@lgbtlifecenter.org.